Whilst Deploy has always had the ability to add a Planio repository to a project, we've now added integration for their webhooks for automatic deployments, as well as inbuilt links to browse your repository and view your recent commits straight from your Deploy project. 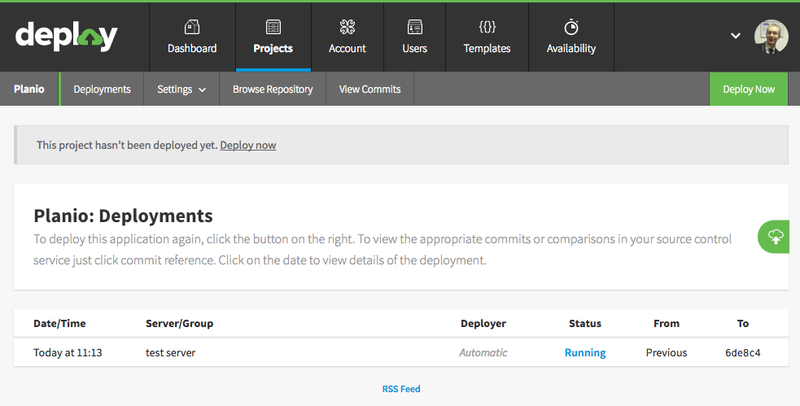 Any existing projects that are using Planio repositories will now have this support without needing to change anything in Deploy - just add the automatic deployment URL from your chosen server's settings in Deploy to your Post-Receive webhook in Planio to take full advantage of the ability to trigger deployments automatically upon a push to the repository. We have further information about setting this all up in our documentation, but please do get in touch with us if you have any questions.